It's designed to optimize the circuit layout. Sound quality is very good and it can drive 4/6/8/16 ohm speakers. Bluetooth V4.0, it has sufficient power output 2*50W. 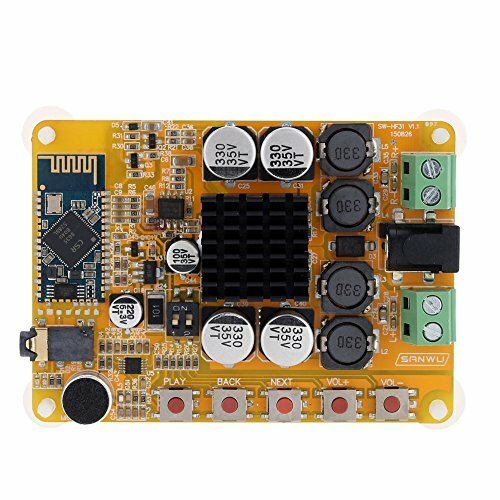 Sound quality is very good by using this module. Power amplifier chip: TDA7492 double channels sufficient power 50W, better than TDA7492P. With microphone (can call with Bluetooth), AUX interface(wired mode audio input). Applicable speaker impedance: 4/6/8/16 ohm (8 ohm is the best).